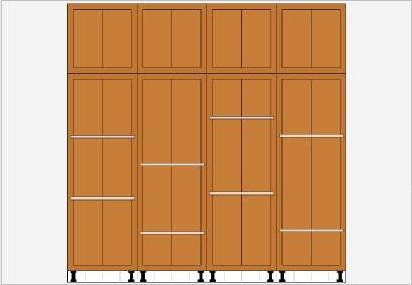 8 Storage Cabinets: Cabinet sizes are as follows: (P246816 x 4), (S242416 x 4), and shelves (A2416 x 8). Terms and Conditions apply. Limit one (1) per household. Cabinet system is only offered in Natural Maple or Red Alder finish. For warranty information contact your local Slide-Lok Authorized Dealer. Terms and Conditions subject to change. **Terms and Conditions apply: Tax not included. See specific terms on page of special. Contact Us About Specials Today!